Finally! 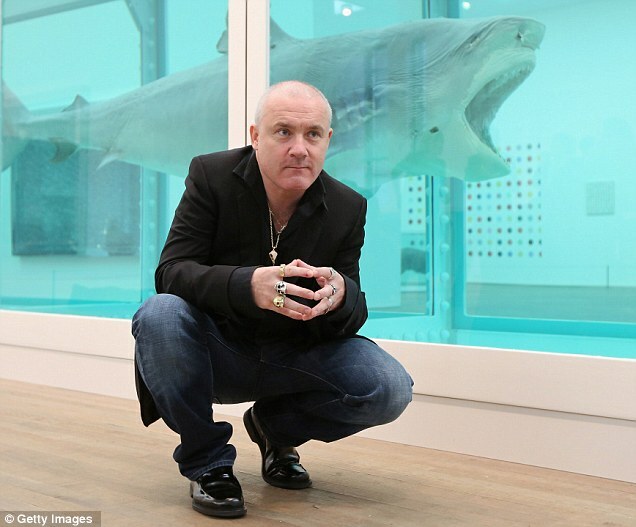 The market price for Damien Hirst�s art is falling and some of his work is being withdrawn unsold from auctions. 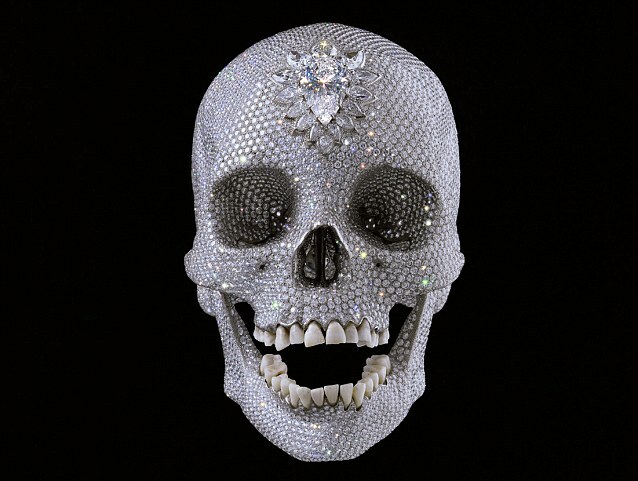 While paintings by some of the 20th- century�s great artists such as Picasso and Matisse are still increasing in value despite the financial collapse, Hirst�s prices are down by 30 per cent since their 2008 peak and one in three of his pieces has failed to sell at all. Not everyone recognises that the artist emperor is naked, but in the art world there�s a growing unease that his clothes might be looking a bit threadbare. Hedge-fund multi-millionaires who bought works by Hirst � whether they were his trademark spot paintings consisting of symmetrically placed rows of dots, or the medicine cabinet installations that he passed off as art � now wonder if they mightn�t have been better off with a picture they actually liked. In decades to come, people will look back and wonder why, in fashionable circles at the end of the 20th century and the beginning of the 21st, rubbish such as this was displayed as art. How, they will ask, could educated people promote and buy this kind of stuff? How could the art schools tell students not to bother learning to draw or paint? How could our museums have consigned great works to storage so as to make space for what later generations will find a bad joke? Above all, they might ask why Sir Nicholas Serota, the most influential museum director of his age � educated in an exclusive public school, Cambridge University and the Courtauld Institute � used his power as head of the Tate galleries to promote talentless self-publicists and to encourage the proliferation of the ugly and the pointless. Serota�s MA thesis was on J.M.W. Turner, an innovative painter of genius. Yet from 1990, under his chairmanship, the Turner Prize that was named after J.M.W. and is based at the Tate, has been awarded regularly to exhibits that are at best pathetic. Who in the future will see the point of Gillian Wearing�s 60-minute video of immobile actors dressed in police uniforms, which won the Turner Prizer in 1997, or Martin Creed�s winning offering in 2001 � an empty room with lights going on and off? I�ve tried to unravel some of these mysteries in my new crime novel, in which I ridicule that whole nonsensical art world. Central to the novel, much of which is based on fact, is the astonishing story of how Hirst � a salesman with no artistic ability � made more than �300 million from the �art� he has sold. With just an �E� in his Art A-level, Hirst was delighted to be admitted to an art school that did not seem to rate skill � his tutor at Goldsmiths College, Michael Craig-Martin, was a �minimalist conceptualist� whose most notorious work is a half-full glass of water entitled An Oak Tree. Hirst, who had a placement at a mortuary while a student, decided to make death his unique selling point. 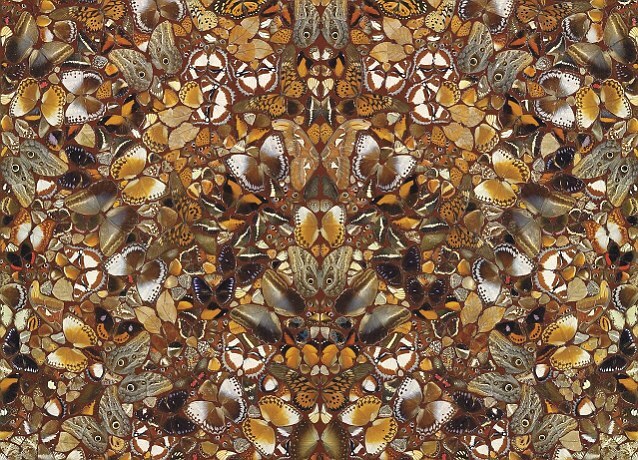 Now, many great artists have painted the dead and the dying, but Hirst�s approach was more that of a butcher. He wowed the art dealer and collector Charles Saatchi (now husband of Nigella Lawson) with an exhibit involving maggots and flies feeding off the head of a dead cow. 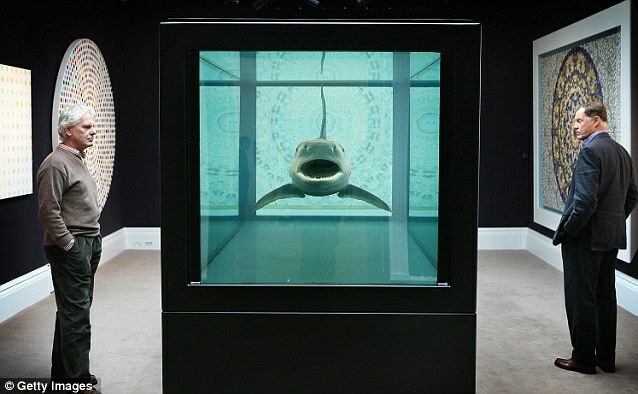 Saatchi offered Hirst a �50,000 commission to do whatever he liked and the result was the famous shark in formaldehyde in a giant glass cabinet (pictured), which he called The Physical Impossibility Of Death In The Mind Of Someone Living � a pretentious title that impressed the gullible. When he moved on to spot paintings (rows of randomly coloured circles), Hirst candidly explained that he was useless at painting, so it was left to his assistants to produce them in their hundreds. They also applied themselves industriously to the spin paintings (paint dribbled onto a revolving surface). All this time, critics and curators were treating his work with reverence, galleries and auction rooms were screaming for more and he became the toast of London society. The story is told that at a party the famous theatre director Sir Trevor Nunn met Hirst and told him he had bought one of his spin paintings. 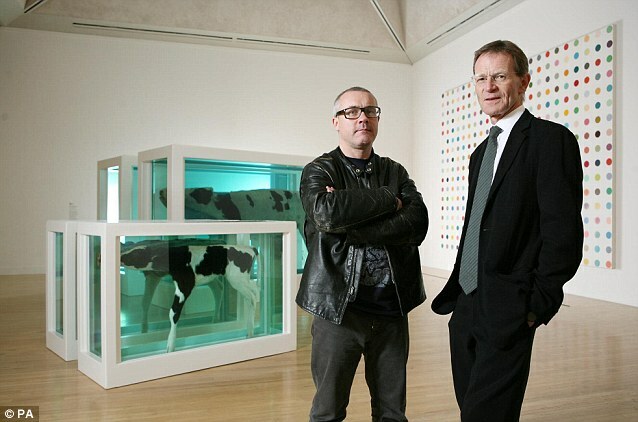 Hirst, who can�t be bothered concealing his contempt for the gullible, said that the painting was the work of his two-year-old son, with some help from a ten-year-old. Nunn got over his disappointment when he later sold the thing for almost twice as much as the �27,000 he had paid for it. 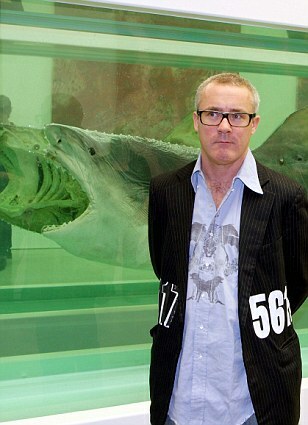 Hirst is equally frank about plagiarism, of which he is convincingly accused. His artist friend John LeKay, for instance, had exhibited animal carcasses for years before Hirst did, and had even lent him a science catalogue showing a cow bisected lengthways, and had stuck (artificial) diamonds on skulls years before Hirst famously did it. All this time, bobbing in Hirst�s wake, was the flotilla of what were known as the YBAs, the Young British Artists who competed with each other in vulgarity and vacuousness and were treated by the art establishment with the greatest of respect. There was Tracey Emin and her filthy unmade bed, which was considered a landmark, and her badly executed but explicit drawings of her own genitalia. 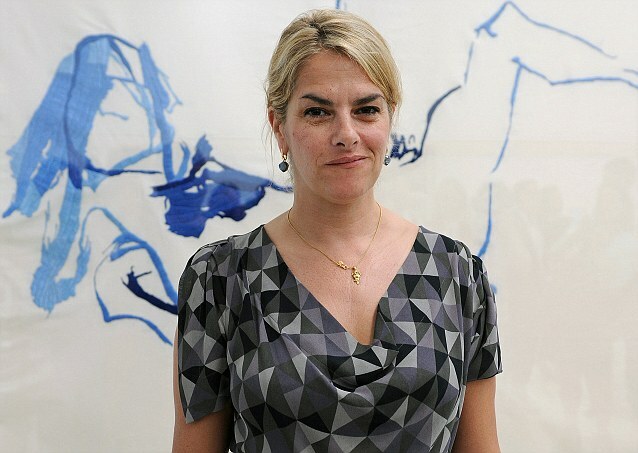 In thrall to the YBA, the British Council appointed Emin to represent the UK at a great Venice art fair. Incredibly, she has since been appointed professor of drawing in the Royal Academy, a distinguished institution founded in the 18th century to promote artistic excellence. Meanwhile, in the National Gallery, �visual artist� Sam Taylor-Wood�s film of David Beckham sleeping has a reverential curator�s note about how this is inspired by Michelangelo; and Jake and Dinos Chapman�s many disgusting creations � including mannequins of children with genitalia where their faces should be � are hailed as masterpieces. One of the tragedies of all this is that young people even now are being encouraged by the art establishment to believe that self-promotion and controversy matter more than talent and hard work, and real artists are being ignored or sidelined because they don�t fit the conceptual template. But the tide is turning at last. This year, a wonderful exhibition by the great David Hockney had 700,000 visitors compared with Hirst�s 463,000. And Nicholas Serota, who was recently appointed �employee for life� by the Tate board he chairs, may already be yesterday�s man. In recent weeks even the BBC�s arts editor has admitted that many curators secretly despise much conceptual work, and critics have begun tentatively to query if it hasn�t been overrated. People are challenging lofty and disdainful voices such as those of Serota and his colleagues and point out that they�re peddling rubbish. 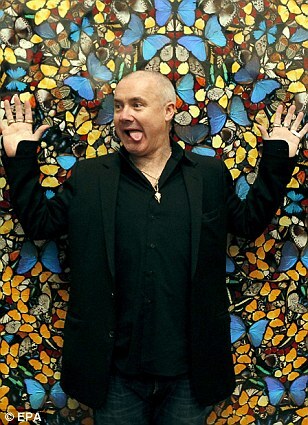 Artists should be able to draw, paint or sculpt, says the ordinary person, but all Hirst and his ilk can do is shock. The patronising art establishment and its self-satisifed hangers-on have been shown up for what they are by the market�s rejection of Damien Hirst and the Young British Artists: naked emperors who deserve nothing more than our derision. Ruth Dudley Edwards�s Killing The Emperors, a satire on the world of conceptual art, has just been published by Allison and Busby.